Elvin Ray Madison, age 92, of Alliance, Ohio died Saturday June 30, 2018 at Community Care Center surrounded by his family. Born April 16, 1926 in Alliance, Ohio he was the son of the late John and Florence (Lozier) Madison. He was preceded in death by his parents, sister D. Jean Madison Rudolph Krahling and twin grandsons Christopher and Mathew. He is survived by his wife of 67 years, Jean E. (Blair). They were married on July 15, 1951, He is also survived by three sons, Jack B. (Linda) of Catawba Island, Ohio, Richard S. of Bath, Ohio, and Robert T. (Brenda) of Alliance, a brother Jack L. Madison of Alliance, grandchildren, Sarah (Matt) of Cincinnati, Aaron (Juliana) of Florida, Conner, twins Aubrey & Bailey of Bath, Ohio, Elliot and Ellen of Catawba Island, Ohio. As well as two nieces, Cindy (Ron) Knepp of Alliance and Chandra Rudolph (Kelly) of Copley, Great nieces/nephews Lee and Erika Knepp, Samantha Hartz-Rudolph, Jack and Thomas Madison and his good friend Bill Sassaman and his family Cathy, Patty (Pepper). Elvin enjoyed working in his gardens around the house which he won several awards for, enjoyed hiking, boating, camping and one of his favorite times of the year was the fall as he, Jean, Bea and Bill Sassaman would take trips to view the fall foliage. Mr. Madison retired after 40 years of service, from the Alliance Machine Company in 1990 as Vice President of Manufacturing & Production. He had also been the Vice President of North American Sales for The Butterley Engineering Ltd. of Telford England, Vice President of Manufacturing for Hydro-Tech Inc. of San Mateo CA and Process Development Unit Site Manager for Calderon Energy Company of Bowling Green, OH. He also operated The E. R. Madison Consulting Services for the past 26 years. Mr. Madison was a graduate of Alliance High school. He served in the Amphibious Landing Forces of the U S Navy in the Pacific operations during World War II as a member of a LCVP Boat Crew (36 Ft. Troop Landing Craft) assigned to a Navy LST 1120 ship (Landing Ship Tank). After taking part in the invasion of the Kerama Ryukyu Islands and the island of Okinawa he was part of the first landing parties for the occupation of Hiroshima Japan and later a member of the forces occupying Nagasaki Japan at the end of WW II. He was awarded Bronze Battle Star and Pacific and American Ribbon and WW II Victory Medal. 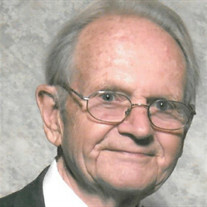 He was a graduate of Mount Union College in the class of 1949. He was a member of Sigma Nu Fraternity. He had additional education at the University of Akron and at The American Management Association in Chicago. He was a 50-year club member of Christ Methodist Church of Alliance, member of The Catawba Island Club and a member of the Alliance YMCA. He was a past member of the Financial Committee of the Alliance YMCA and belonged to the YMCA's "Gib Dawson's Early Morning Exercise group", Committee Member of Troop 53 of the Boy Scouts of America and Chairman of the Committee for Troop 53 Cub Scouts. He was a past member of the Presbyterian Church Camp Limrod Committee and did volunteer work at Camp Limrod. He was a life member of The American Society of Mechanical Engineers and was a past member of The Association of Iron and Steel Engineers and The American Welding Society. He was a past member of Manufacturing Division of the Alliance Chamber of Commerce and served as Chairman of the Division for one term. Member of The Alliance Shade Tree Commission. The family would like to thank Community Care Center and Alliance Hospice for the great care they have given to Elvin over the last several years. Services will be held at Cassaday-Turkle-Christian Funeral Home on Saturday, July 7, 2018 at 11 a.m. Friends may call two hours prior to the service. Burial will be in the Fairmount Memorial Park, Alliance. Memorial contributions can be made to First Presbyterian Church, Christ United Methodist Church, Alliance Friends of Parks, Community Care Center or Alliance Hospice. Arrangements are with Cassaday-Turkle-Christian Funeral Home.